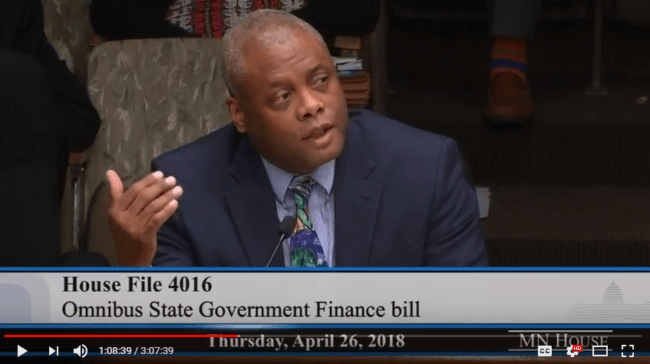 The Minnesota Department of Human Rights (MDHR) is facing serious funding cuts by the Republican legislature, in an effort to undermine the department’s ability to investigate discrimination cases and human rights violations. The Republican-proposed cuts would gut the department by more than 30 percent. The MDHR’s duties, particularly investigating discrimination claims and educating Minnesotans about their rights and responsibilities under the Human Rights Act, are exceedingly important in Minnesota, especially to Minnesota’s Latino, African, and Asian Pacific communities. And those duties are especially important for Minnesota’s diverse student population. Last fall, MDHR revealed that 43 school districts and charters were under investigation for violating the state Human Rights Act due to discipline disparities in their schools. The Minnesota state constitution demands all young people have the right to a free, public education. Yet in Minnesota, students of color, American Indian students, and students with disabilities are pushed out at significantly higher rates than white students in Minnesota schools. MDHR found that, during the 2015-2016 school year, African American students in Minnesota schools were eight times more likely to be suspended than their white peers, and American Indian students were 10 times more likely to be suspended than their white peers. The department found many were subjective suspensions and expulsions, which includes things such as bullying, disruptive/disorderly conduct, and/or verbal abuse and how they are applied differently to students. Such a significant rate of suspensions is a human rights issue because it interferes with a young person’s education. The education system is the major system a young person must go through when living in Minnesota, and is at the intersection of so many important aspects of growing up: learning, building community, interacting with peers, access to opportunities, etc. If a student is not allowed in the school,. and in many cases, not allowed to complete their work for complete school credit, that is a serious violation of their right to an education. And it demands districts enact policies to address these violations. Yet in response to the MDHR’s important investigations and their working with school districts to keep the door open for all students, Republican Rep. Sarah Anderson of Plymouth proposed bill to slash MDHR funding by 30 percent, or $1.4 million, despite a budget surplus of $329 million. You can watch a recording of the hearing below, from 47:30 – 1:39:08. MDHR Commissioner Kevin Lindsey testified and answered questions from the committee. This proposed cut is coming at a time when the federal government is stepping back from guidance to uphold important protections for students, and as Rep. Frank Hornstein and Commissioner Lindsey noted at the hearing, comes at the 50th anniversary of both MDHR being established and the assassination of Rev. Dr. Martin Luther King Jr.
Minnesota Governor Dayton also strongly opposes the measure to cut funding. We recommend contacting your legislator and asking them to fight for NO cuts to MDHR. You can do this in a snap by filling out this form here. Thank you in advance for advocating for every student’s right to education and the important work of the Minnesota Human Rights Department.